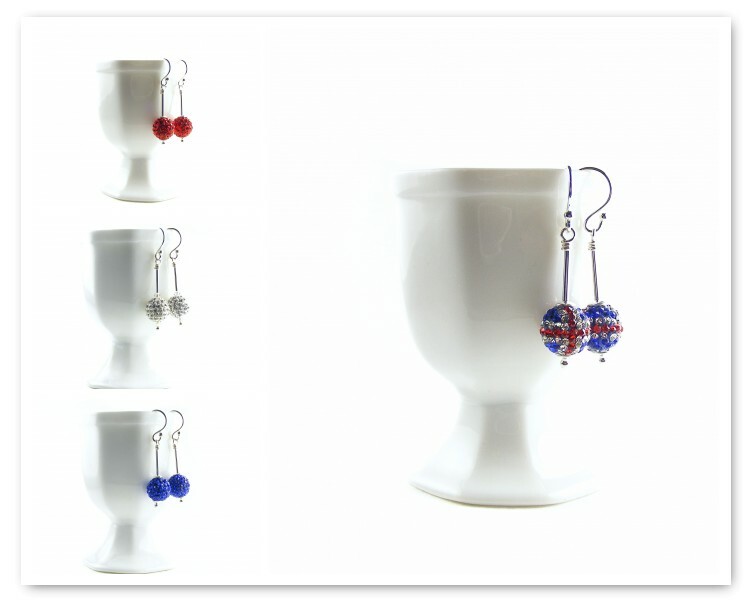 Erika Price Handcrafted Artisan Jewellery: Celebrating Team GB Success in Red White & Blue! Celebrating Team GB Success in Red White & Blue! Today I'm celebrating the success Team GB has enjoyed at the London 2012 Olympics over the past 10 days, with some of the red, white and blue earrings from my Celebrity Style range! My glittery disco ball earrings are available now in my Erika Price Etsy shop as dangles, posts or studs in a wide range of colours, and include these patriotic Union Jack earrings. Pendants and bracelets are also available to match!